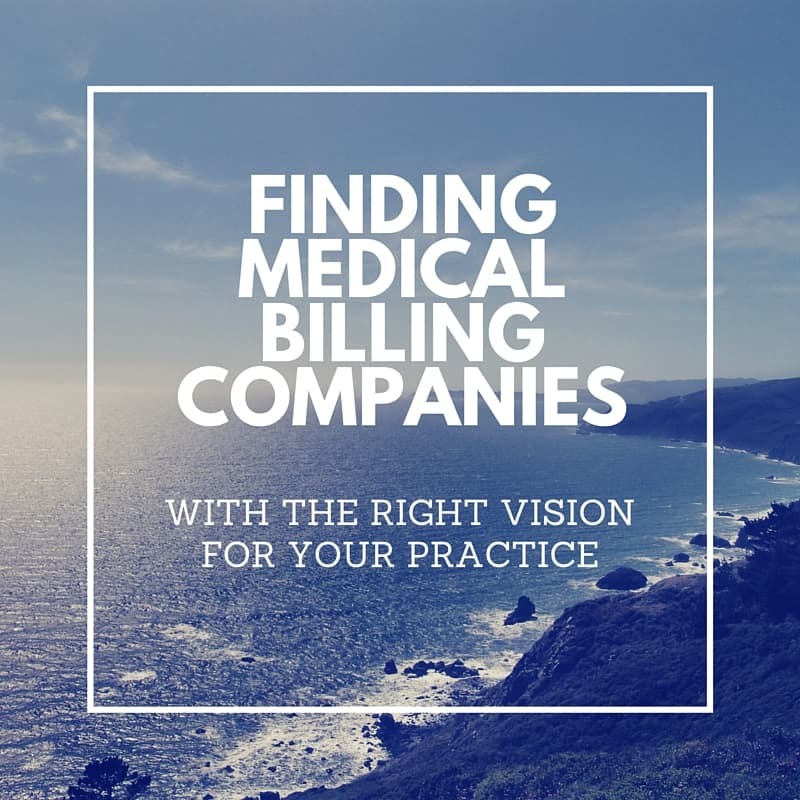 How To Find Medical Billing Companies with the Right Vision for your Practice. It’s easy to find medical billing companies, but identifying the right medical billing software and an affordable, reliable biller is more challenging. In Touch Billing™ integrates EMR, billing software and a billing service so clinicians can do what they do best – treat patients. Many practitioners owners have had a bad experience with previous medical billing companies. Choosing the wrong billing company can impact productivity, decrease revenue and cause compliance problems, even endangering professional licensing. In Touch Billing™ is one the few medical billing companies that will carefully compare medical billing software and incorporate scheduling, documentation, billing and marketing into a single integrated product for managing the clinic, the revenue cycle, and continuity of patient care. There’s no need to purchase several different software products, hoping that each will work with one another, or hire an expensive team of IT specialists to install it all. In Touch EMR™ was designed and built by private practice clinicians that are cognizant of the needs of physical, occupational and speech therapists, and mental health practitioners. With Referral Ignition tools, coaching and marketing services, the company has established a track record for increasing clinician revenues in over 30 states in the U.S. and eight countries worldwide. In Touch EMR™ is one of the only EMR vendors in the rehabilitation field to pass all ONC HIT 2014 certification requirements. It’s certified in all pertinent fields, ranging from transition of care, clinical quality measures and quality management systems to privacy and security, medications and allergy lists, and data portability. Hundreds of practices have dramatically reduced their EMR fees within the first 30 days using In Touch EMR™. Many of the routine processes associated with the patient encounter and sending claims to the medical billing department are automated, saving time for clinicians, decreasing denials, and shortening reimbursement turnarounds. The software enables clinicians to staff more efficiently for optimal results. Without the need to maintain on-site servers, practitioners can also liberate resources and space within the practice to offer additional services or products that provide diversification and other revenue streams. In Touch EMR™ offers complete practice management that functions as a stand-alone system and integrates with existing programs. It contains the ability to scrub claims with a single touch and identify areas that could be cause for a denial. Online insurance verification and eligibility reduces the potential for medical identity theft that costs practices thousands of dollars each year. Credit and debit card processing is built-in. Claims are filed electronically and can be scheduled for individual or batch submission and patient statements can be delivered electronically or as printed documents. In Touch EMR™ has the lowest claim denial rate within the medical software industry at less than .5 percent and payments can be deposited directly into clinic accounts. The medical billing company software works with hundreds of insurance providers and clearinghouses around the globe. Medical billing companies should follow HIPAA regulations for compliance and provide a comprehensive record if an audit is initiated. Software should include military grade encryption for the special needs of those in the medical profession. Access is limited to authorized personnel and In Touch EMR™ includes sophisticated firewalls, tools to encrypt passwords, and intrusion detection software. The medical software is Medicare compliant and certified compliant with all applicable criteria adopted by Health and Human Services. Regular updates are performed, cloud storage and management provides an extra level of safety, and the medical software provides real-time monitoring. In Touch EMR™ provides ICD-10 support and meaningful use support. The In Touch EMR™ app is available in the Apple store and supports interaction with referring physicians and patients in multiple ways that they normally communicate. The medical billing coding software can be employed on clinic laptops and tablets utilizing PC, Mac and Android operating systems. In Touch Billing provides detailed compliance blueprints, daily webinar trainings and access to experts on the panel of In Touch EMR. The ability to document information quickly and accurately as the patient encounter is being conducted is built into In Touch EMR™. Customizable templates are included that reflect the processes of the individual clinic and its normal workflow. Flow sheets are automatically updated with ICD and CPT codes, along with all patient encounter information. Practitioners have the ability to create automated sentences that can be linked to hotkeys. The phrases can be entered automatically during the documentation process for time savings. Dynamic goal boxes enable practitioners to create their own questions that are incorporated into documentation forms. Every clinician knows it takes longer to type in information than it does to speak. In Touch EMR™ includes voice recognition capabilities for documentation on the go, offering an enhanced level of productivity and the ability to transfer the information to billing for submission of the claim. The medical billing company assists clients in transitioning to In Touch EMR™ and the exportation of patient records. It provides the means to contact patients via text, phone and email. Sophisticated marketing tools make it easy to create reports, acquire new patients, and address referrals. Automatic patient appointment reminders improve patient arrival rates for increased revenue by substantially reducing no-shows. Individuals are prompted to confirm, cancel or reschedule their appointment. Password protected patient portals enable test results and similar information to be posted for the patient to view, reducing time spent by staff on notifications. Done-for-you newsletters provide an additional way to maintain contact with patients and market the practice. The medical billing software provides clinicians with a self-paced video training program for quick mastery. Unlimited training is offered by phone, email and live chat. Unlimited licenses are available and additional clinics can be added. The medical billing software doesn’t require installation on clinic computers. All it takes is an Internet connection and a browser, preferably Firefox or Chrome. All implementation services should be included, including documentation and template customization, training, support (phone, email and live chat), data upload. In Touch Billing extensively reviews clinical documentation and looks for any illegible or missing information in all documentation prior to claim submission. If there are any errors, the facility / administrator will be notified and asked to re-send the relevant documents. The staff at In Touch Billing will verify patient eligibility for each claim, prior to claim submission. This process helps to significantly reduce claim denials. The coding specialists at In Touch Billing will input / verify the procedure and diagnosis codes for each patient based on CPT (Current Procedural Terminology), and ICD-10 (International classification of Diseases – Tenth Edition) standards. The coding specialist will also apply the appropriate modifiers if required based on the procedure and diagnoses codes entered. A senior coding specialist will then review the codes entered before the charge entry process. 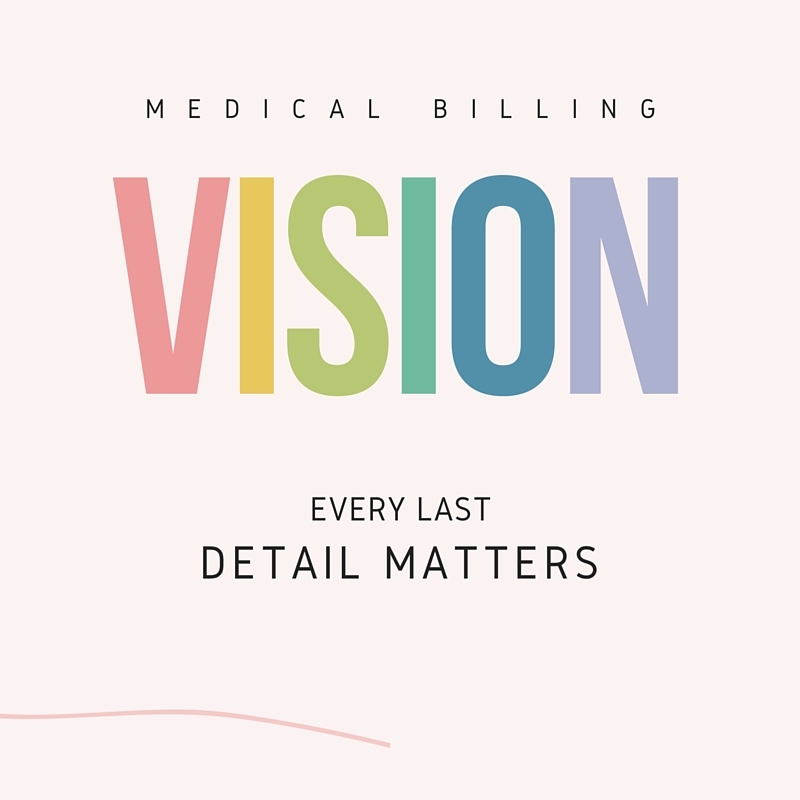 Once all documentation is checked and verified, and the coding is completed and reviewed, In Touch Billing submits the medical claims while adhering to rules pertaining to the specific carriers and locations. Claims are usually created within a 24-hour period after the charge entry information is received from the clinician. Once the charges are entered, and claims created, the claims are then put through a series of stringent audit checks at multiple levels. The completed claims are rechecked to ensure that all information is valid and complete with correct procedure codes and diagnosis codes. The most common reason for rejected claims is incomplete / incorrect information and this pre-transmission audit ensures that such problems are identified and eliminated as quickly as possible. Post audit, the final audited claims are printed / transmitted electronically to the respective payers (commercial or government) along with relevant information and the necessary supporting documentation to facilitate settlement of the claim. All work includes review and submission of claims on behalf of healthcare providers with government and commercial companies by electronic and paper means. If any rejections are received from the claims submitted, the EDI specialist will analyze the rejected claim and correct the errors and resubmit a clean claim. Simultaneously, the errors received will be shared and filed away with the charge entry team and the coding specialists to minimize re-occurrence of errors. The payment posting team reviews the EOB files received through scans or ERAs through the clearing house. Before posting payments, the team analyses and reconciles deposit slips, insurance check copies, patient payments and calculates total payments received by batch with the amounts received from the payer. Daily reports are sent to the Provider with information regarding payments posted and any exceptions or queries. In Touch Billing includes the services of a dedicated AR specialist. This specialist generates reports of claims which are unpaid for more than 30/60/90 days and analyzes such claims. The AR specialist follows up with the payer with respect to the pending claim status, analyses why the claims remain unpaid and takes appropriate action to get the claim paid. In Touch EMR analytic reporting includes detailed metrics on patient demographics, clinical productivity, time tracking and revenue prediction based on billing trends. This will help management identify clinical productivity curves and help in staff management. Detailed monthly reports will be provided, including but not limited to amount collected, aging reports, current AR, clinician productivity tracking. A detailed analysis of the performance of different clinicians will also be provided, helping management identify and improve the performance of providers based on visits and collections. In Touch EMR™ is an advanced technological medical coding billing system for complete practice management, billing, documentation and marketing solutions. The medical billing software is compatible with multiple clearinghouses and insurance providers, scrubs claims, and significantly reduces reimbursement times for better cash flow to the clinic. Documentation and compliance review (additional oversight) of every single claim prior to claim submission. All implementation services, including documentation and template customization, staff training, support (phone, email and live chat), data upload. Complete setup, software updates, compliance tools and training, documentation review, eligibility verification, claim creation, pre-transmission audit and compliance check, claim submission, rejection process handling, payment posting, productivity monitoring and monthly reporting. Dedicated customer support – Customer support staff will be available to help billing clients by phone, email and live chat. One-on-one training and group training arranged by appointment. Automatic claim transmission from EMR to billing software. As one of the only EMR vendors in the rehabilitation field to pass all ONC HIT 2014 certification requirements, the software provides clinicians with the tools to remain HIPAA, Medicare and Health and Human Services compliant, while allowing practitioners to practice medicine in the way that’s best for their clinic. Critical compliance alerts are included.